(IDEX Online) – Rami Baron, President of the Diamond Dealers Club of Australia, has expressed his regret at leading Australian diamond company Storch & Co entering voluntary administration. 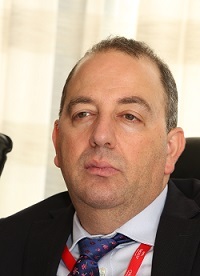 The development came just two weeks after Miller Diamonds was placed in liquidation and closed and indicates the difficulties diamond companies in the country are facing. “It is with a heavy heart that we saw these two stalwarts of the Australian diamond industry hit problems, with Miller Diamonds closing down and Storch & Co in voluntary administration,” Baron said. “Miller Diamonds had a tremendous pedigree, starting out in the South African diamond trade with a large operation.” The firm was a De Beers Sightholder at the time. “Meanwhile, Storch & Co has been in business for more than 50 years in Australia. These firms are regarded as the doyens of the diamond industry in this country. These developments came completely out of the blue,” Baron added. In a statement released on August 1, Storch & Co Managing Director Daniel Storch said: “With the loss last week of our colleagues at Miller Diamonds it is obvious that the jewelry wholesale sector is under increasing pressure. My decision to place Storch & Co in voluntary administration has been prompted by difficult trading conditions. Storch & Co acquired the local distribution rights for De Beers’ Forevermark brand across Queensland, New South Wales and New Zealand late last year.